The launch of Android 5.0 Lollipop saw Google introduce a form of security for stolen or lost phones known as Factory Reset Protection. With this feature, anybody who lost their Android phones could be sure that no other person can successfully use the phone without the original owner’s permission. In essence, what this feature does is demand that the person in possession of a stolen or lost device must enter the Google account that was last used before the phone was factory reset. There is no doubt that this is a cool way of taking care of stolen Android devices for it means that stealing one’s phone without knowledge of their Google account details will render the device unusable. 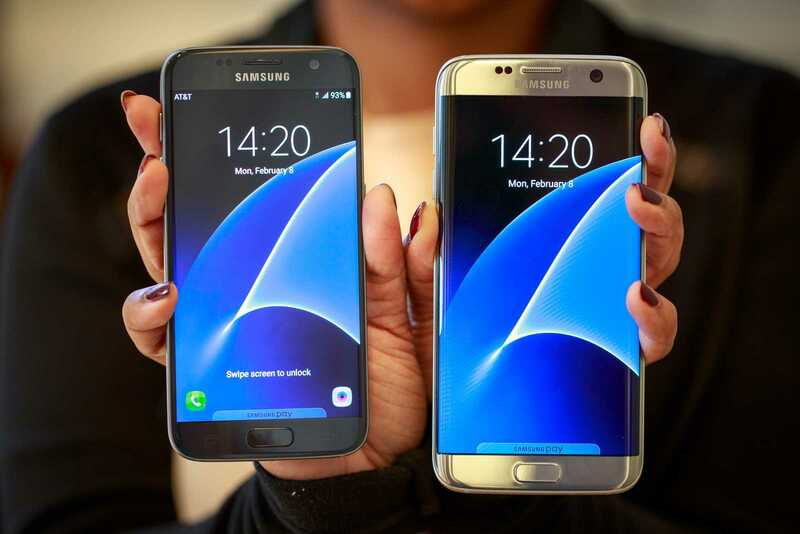 While this was a form of consolation for anyone losing a flagship device knowing that no one else will be able to use the device after all, the story is not the same for current owners of the pricey Samsung Galaxy S7 and Galaxy S7 Edge. These two devices are still very new in the market and despite running on the latest and more advanced Android OS, it seems the Factory Reset Protection feature isn’t of any help to users who happen to lose their phones in one way or the other. According to folks at XDA Forum, fooling Google into giving you access to menus of a formatted device is a hassle-free process. However, for novice users, the entire process of jumping from one setting to the other might be overwhelming. Still, patiently following the video made by RootJunky will make sure that you bypass the Factory Reset Protection. While the video displayed takes Samsung Galaxy S7 into account, the XDA Forum member who discovered the vulnerability says that it could probably work on other non-Samsung Galaxy smartphones powered by Android OS. Hopefully, Samsung will move in swiftly and take care of this issue so that it cannot be exploited by malicious people out there. My S7 Edge was stolen 2 weeks ago. I already had a Gmail account registered to it, a Samsung account and I know its IMEI. Plus I had Avast Anti-theft installed on it. I tried to mark it as lost on Avast Anti-theft but it is not working since, before I tried it the thief switched it off. On Samsung find My Mobile I sent 3 commands: Lock my Device, Extend Battery Life and Retrieve Logs. I also sent a Lock command on Android Device Manager. Up to now I received no sign of the device. My question is: Is it a good idea to use all these methods at the same time? Won’t one method limit another when the phone is online again? Any recommendation on how to proceed? Me too, this is my third S7 edge as the first one slipped out of my hands (can’t imagine why?) And broke end just as I receive the replacement it gets stolen. I’ve done everything I’m supposed to do which ended up being up for the entire night chasing password changes in all my accounts (not finished) and I haven’t even received notification or an email with a follow up on even if I should change my number vs device name and model number being the same across the board. What do I do? What for something to be hacked? Hi did you ever recover your phone? or any help ? I am in the same situation my SGS7Edge was stolen on 28th of January 2017. How messed up of a person do you have to be to not return a lost device to its owner? My worry is why do Sumsang make a very valuable phone without protection on theft? The price of the phone and its value deserves a device in it that a lert the google user whenever its switched on, My Samsung galaxy S7 Edge very new got stolen in a night club in Tenerife on 29th of January 2017, the phone is still very new i am not even half paying for it, i have the IMEI, I would really appreciate your help please. I lost my S7 edge in Prague last friday 31st march. Getting a taxi from the zoo back to the centre where the hotel is. I realised after the taxi left that my phone wasn’t in my pocket, had slipped out. I phoned my mobile continuously for the next couple hours. This taxi driver had no intention of returning it. I am now waiting for a new phone. The Samsung lost my phone site didn’t work. The phone has been blocked by O2. But still disappointed on finding my phone. How do i sync my phone with google, to retreive my photos i took whilst in Prague ? Did you found your phone. I lost my S7 too 2 months ago but couldn’t track it. Do you have any idea then please help. Samsung is really losing out. How on earth such an expensive phone without adequate theft security? Lost my samsung s7 edge yesterday inside a taxi and the driver refused to return it and now there is no means of track him. i will be glad if the phone can become useless, and prevent him from using it. I have a Galaxy S 7 I bought from a friend. I got all my imformation in it.